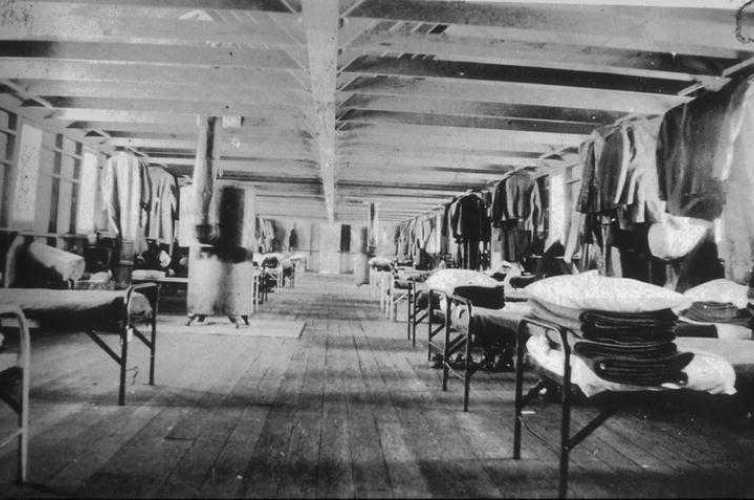 The Gannett Peak Lodge in Pinedale Wyoming was built from abandoned barracks left when the Civilian Conservation Corps Camp in Farson closed in 1941 with the termination of the New Deal federal Program. 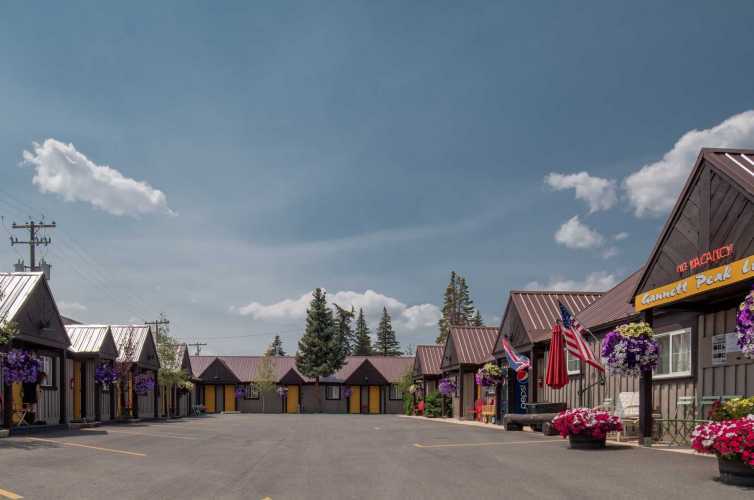 For a few dollars and the cost to remove the barracks, several people from Pinedale purchased and moved the former CCC barracks for businesses, such as this Lodge. 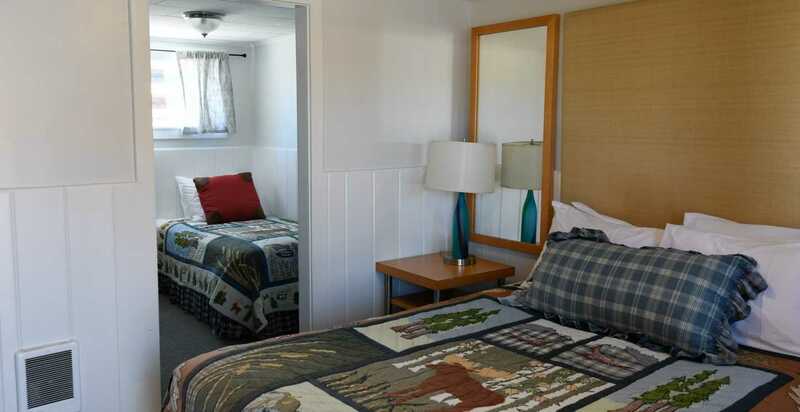 After this Motel was closed for many years, we acquired this Historic Motel in the spring of 2017, to offer an alternative to our Historic Log Cabin Motel next door with more affordable rates. 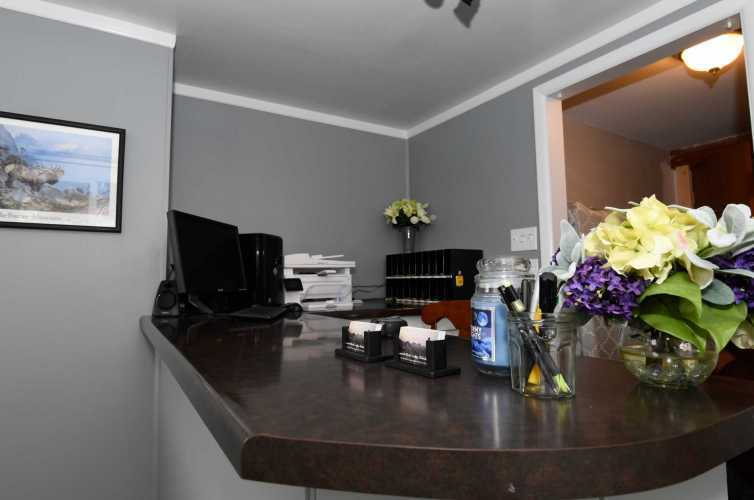 It is ideal for the traveler who needs a clean and comfortable room at very reasonable rates. 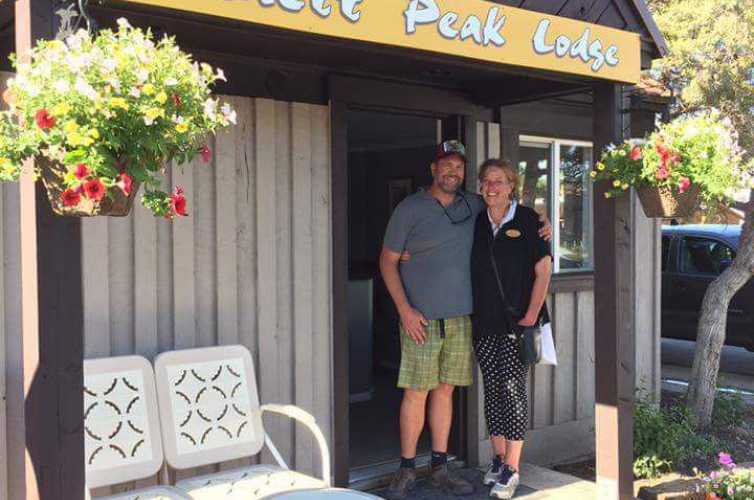 The Gannett Peak Lodge is a newly refurbished Lodge in downtown Pinedale, re-opened for the 2017 summer season, offering affordable, clean and comfortable Motel-style accommodations with 3 Room-types. 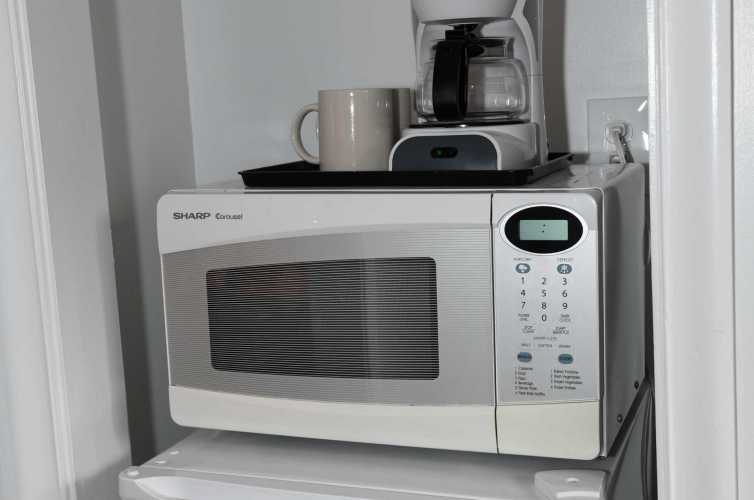 All rooms feature private bathrooms, microwave and small fridges, large flat-screen TV's and free WIFI. 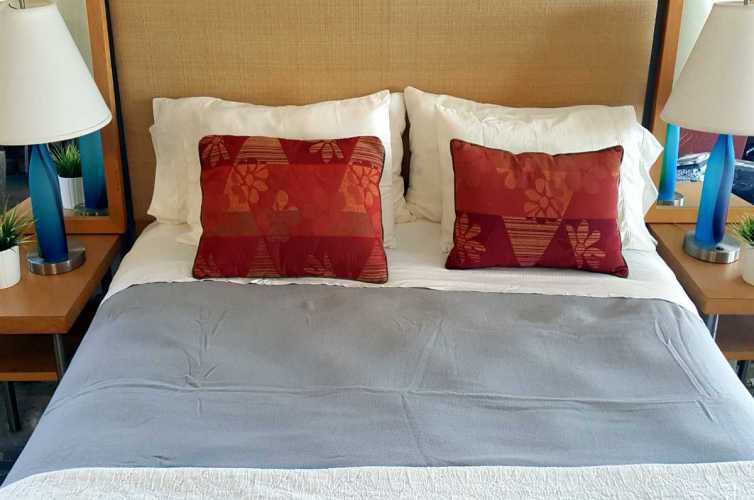 Each room is completely remodeled, with brand new pillow-top mattresses, ORGANIC pillows, linens, carpets, and paint at SUPER AFFORDABLE rates. 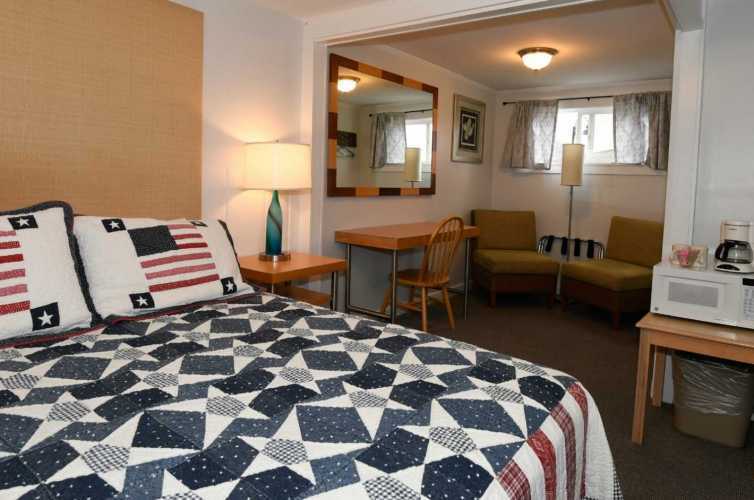 This motel is a great alternative for those travelers who just need a clean room with comfortable beds to rest before heading into our back-country or to and from Grand Teton and Yellowstone National Parks. 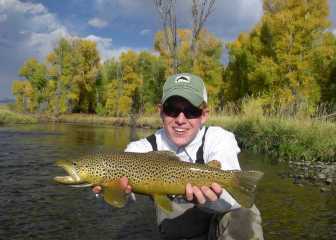 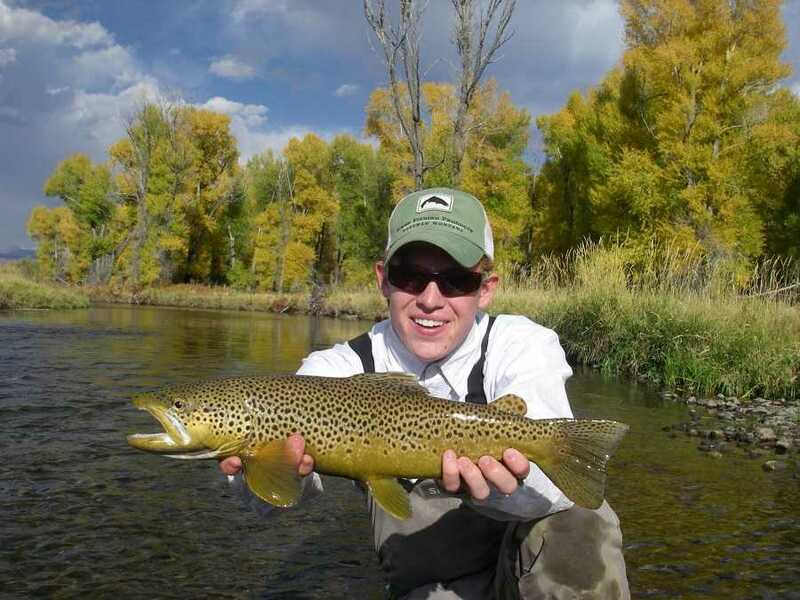 We offer super deals for Groups, CDT Participants, Local Events, Hunting, and Extended Stays. 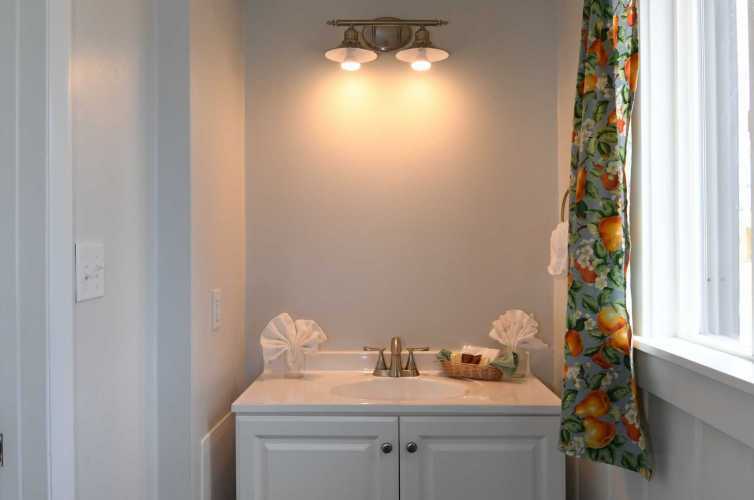 Call us direct to receive these deals and promotions. The new owners of the Gannet Peak Lodge have many years of Lodging Experience in the Greater Yellowstone Ecosystem including over a decade in Sublette County, Wyoming. 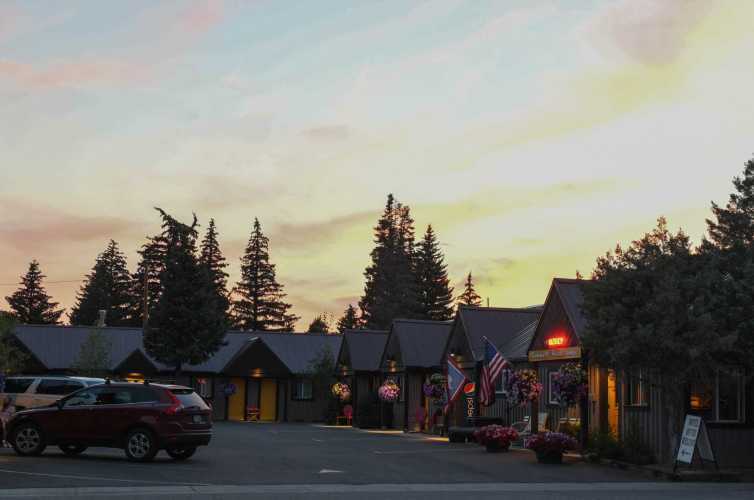 Our sister property The Log Cabin Motel has the most excellent reviews on Trip Adviser among 8 Specialty properties in Pinedale. 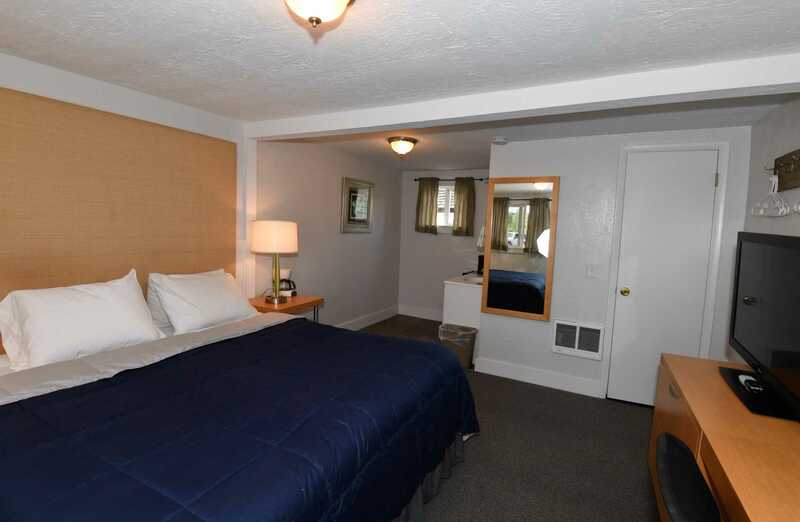 Both Pinedale Motels are on the same street - half block from each other, and complement Pinedale's Lodging Options. 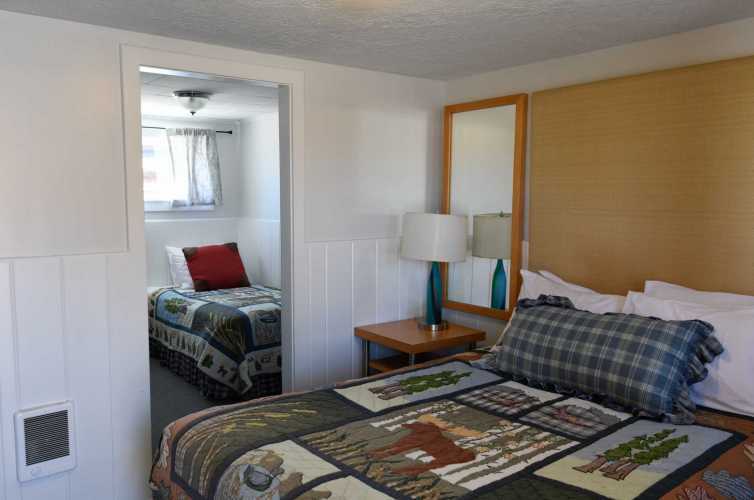 Our promise to you is to provide you with great service, great value, and great hospitality , and to make this Pinedale Motel another highlight for travelers visiting Pinedale, Wyoming. 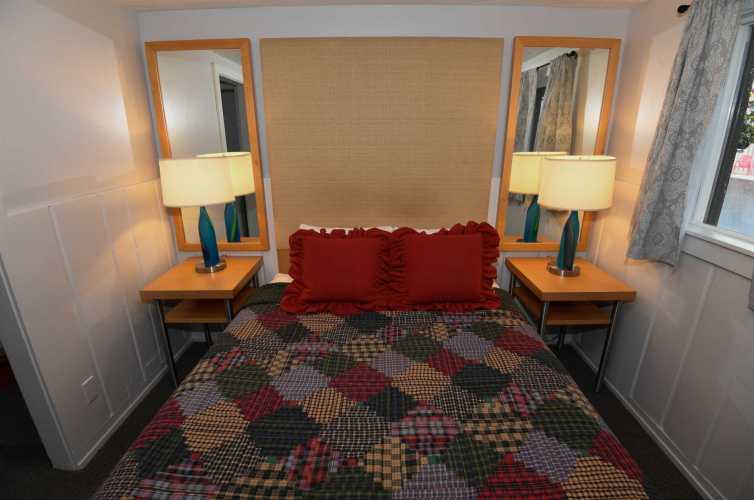 We look forward to sharing our favorite spots with you. 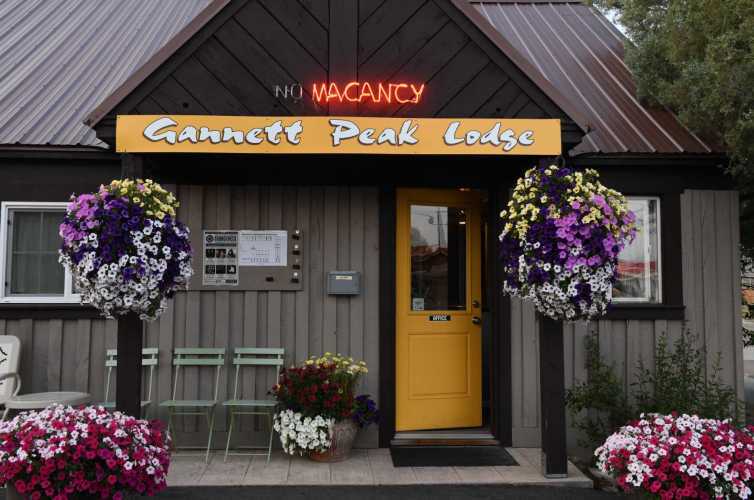 The Gannett Peak Lodge is operated as a GREEN Lodging property and caters to both back-country and budget travelers. 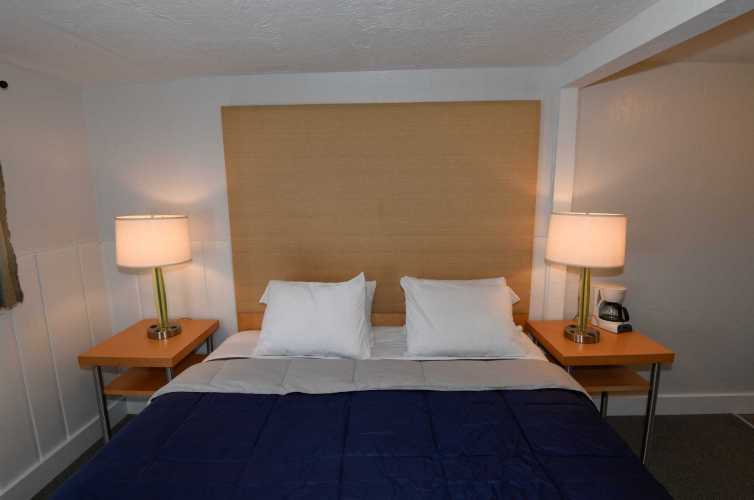 1 QUEEN BED AND 1 TWIN BED, private bathroom, microwave, fridge, flat-screen TV, WIFI; rooms are in left building. 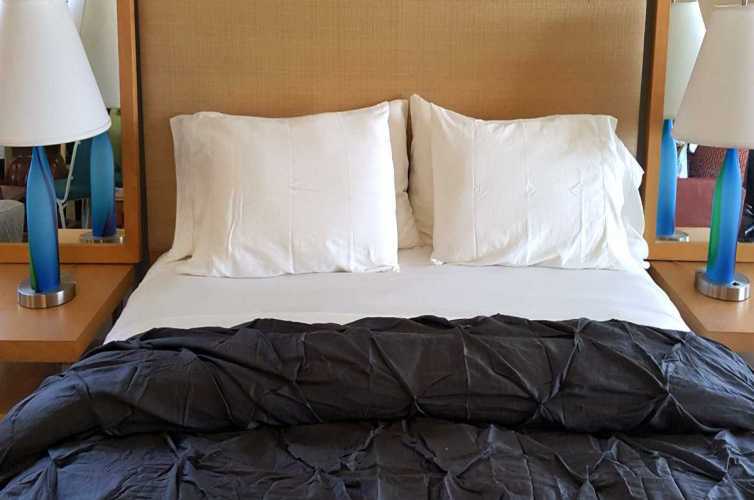 This is the smallest of all categories as there are 2 beds. 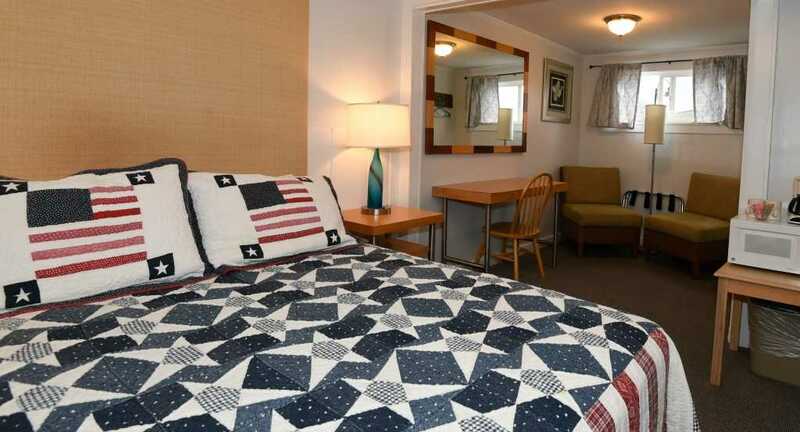 1 KING BED, private bathroom, microwave, fridge, flat-screen TV, WIFI, computer table; rooms are in back building. 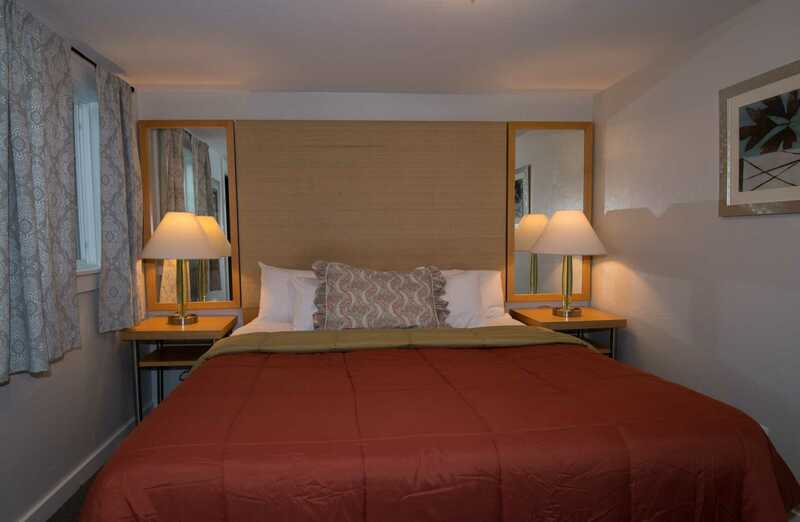 Our king suites are the more spacious rooms. 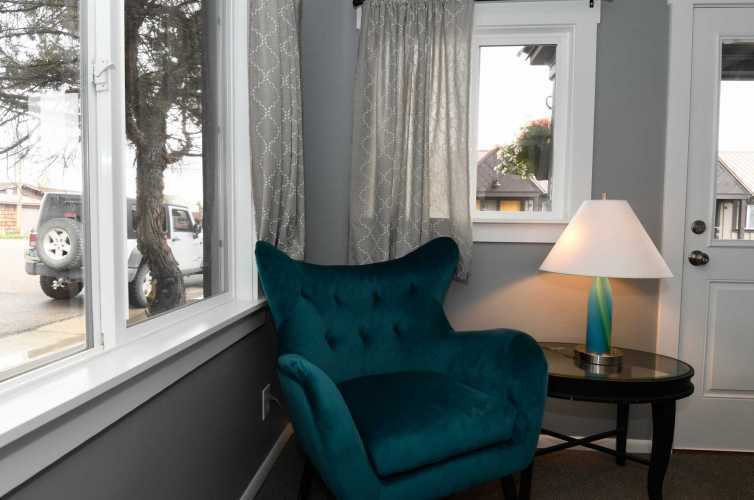 Parking for this category is outside the courtyard on Magnolia Street. 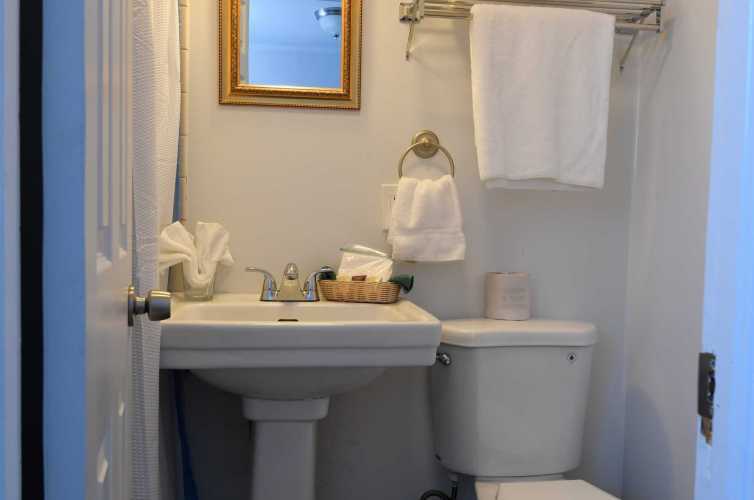 1 KING BED, private bathroom, microwave, fridge, flat-screen TV, WIFI, computer table; small sitting area outside, only one shared wall: building to right with Office. 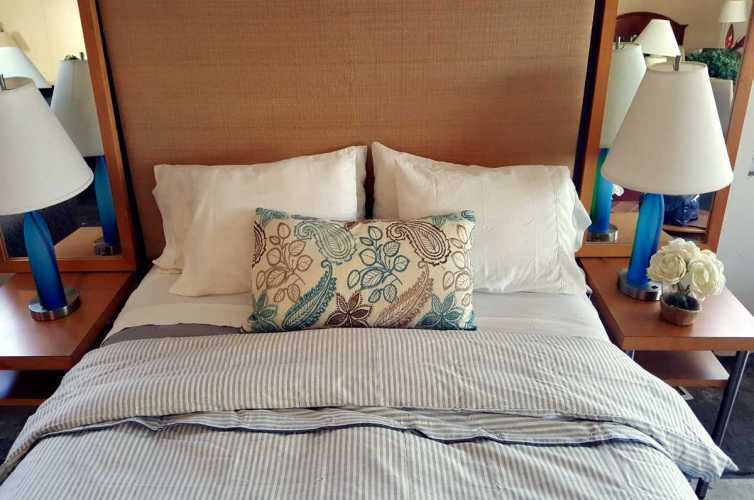 These 5 king suites are the most spacious of all, with less crowded parking as well. 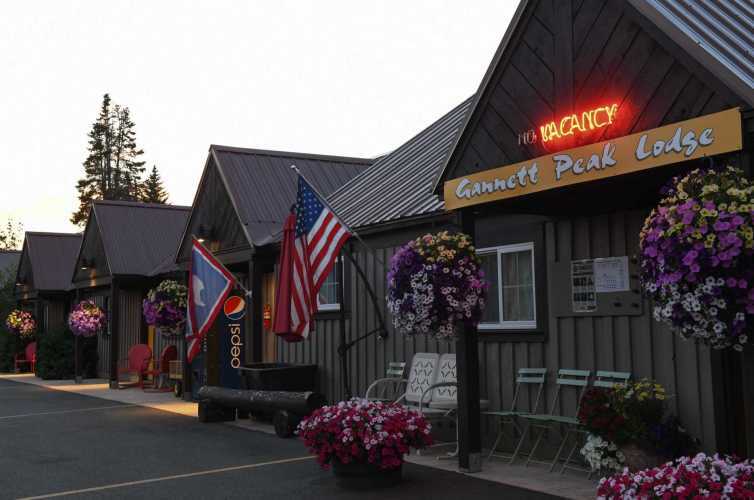 THE GANNETT PEAK LODGE is centrally located in downtown Pinedale Wyoming, half block from Pine Street/Hwy 191 and very quiet. 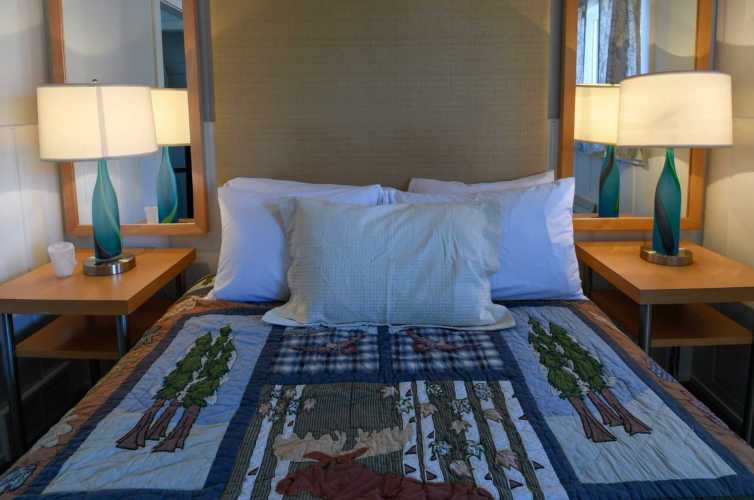 The Lodge is walking distance to the famous Mountain Man Museum, Grocery Store and Restaurants. 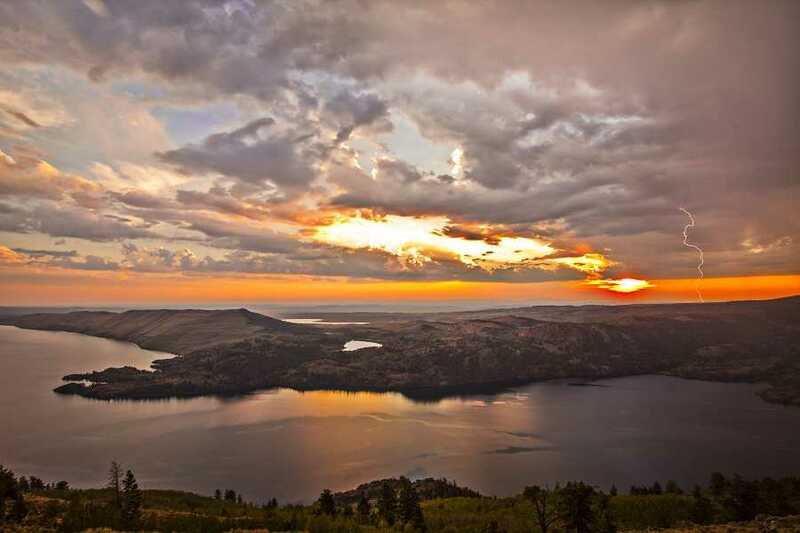 Skyline Drive is one block East, and Elkhart Park and the Pine Creek Trailhead is just 14 miles up Skyline Drive. 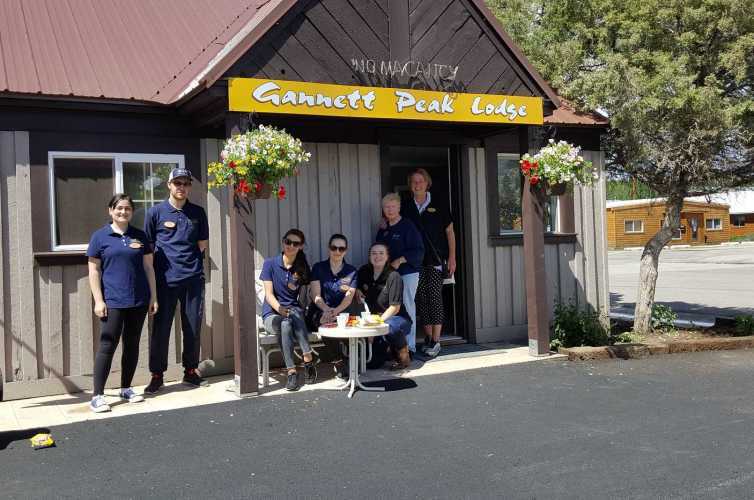 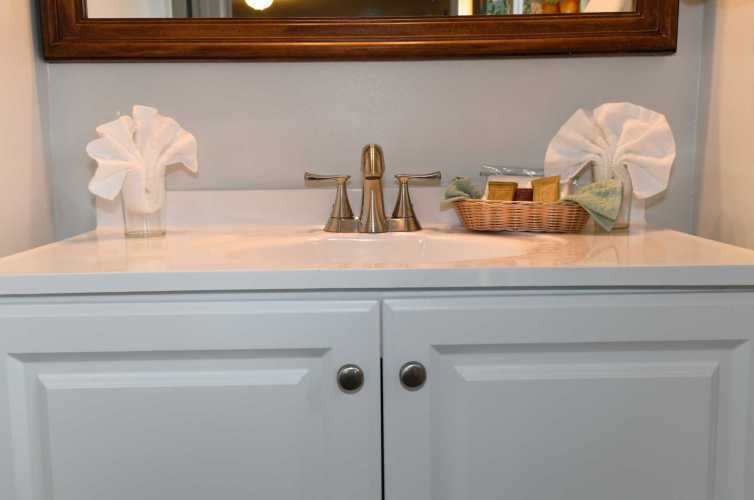 The GANNETT PEAK LODGE in downtown Pinedale is dedicated to sustainable and green operations serving the traveller with clean and comfortable lodging at a reasonable price. 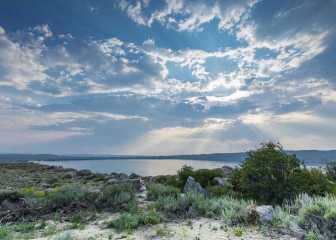 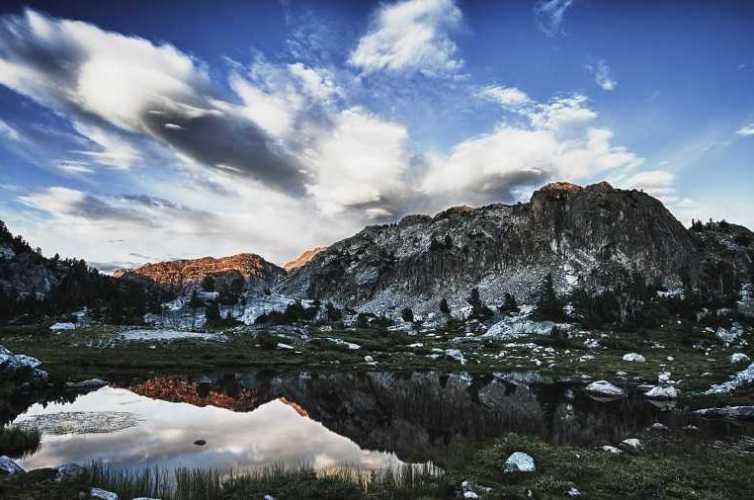 Pinedale is the 1st Continental Divide Trail gateway community in Wyoming. 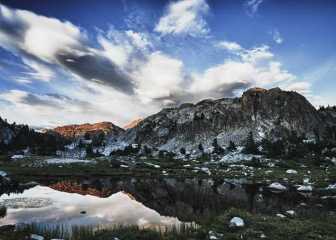 The Wind River Range is unlike any place on Earth. It's considered sacred by some and awe-inspiring by all. 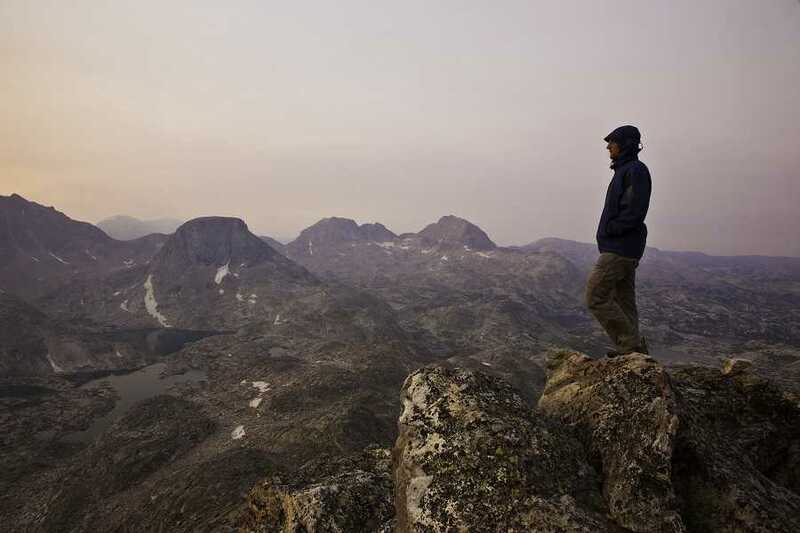 It's also home to more than 140 miles of the Continental Divide Trail, which runs 3,100 miles from Canada to Mexico. 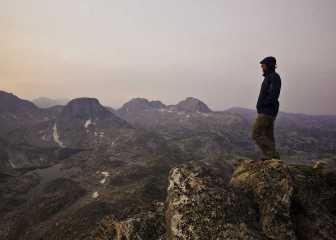 In the spring of 2016, Pinedale was officially accepted as Wyoming's first Continental Divide Gateway Community – a designation reserved for communities in close proximity to the Continental Divide Trail (CDT) that apply through the CDT Coalition and promise to promote good stewardship, among other things. 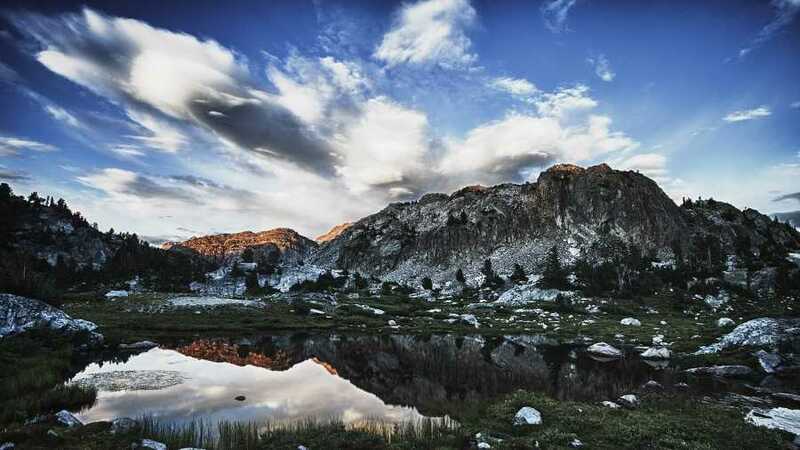 Pinedale is situated on the edge of the Bridger Wilderness, a vast recreational playground (3.4 million acres) that's only minutes from town. Grab your companions and let us serve as your local guide to discovering Wyoming's true western culture, attractions, restaurants, and shops. 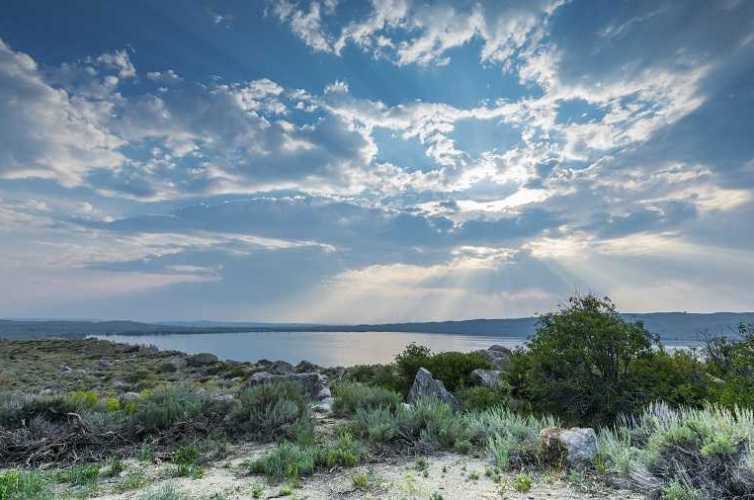 Enjoy this time of year with abundant wildlife viewing, breathtaking scenery, nature walking, and summer sports just minutes away. 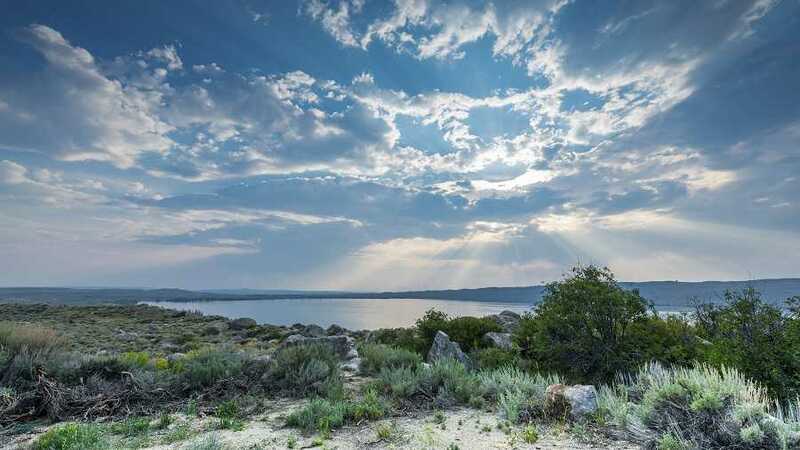 A variety of indoor and outdoor recreation facilities and area attractions make Pinedale, Wyoming a perfect vacation destination.